With the help of Massachusetts State Police, the Massachusetts State Police Criminal Laboratory, the Bristol County Sheriff’s Office; and the Norwood, Taunton, Bridgewater, Fall River, New Bedford, Fairhaven, Westport, and Attleboro Police Departments, a Norwood man was sentenced today in federal court in Boston for distributing heroin in the Taunton area. Oristel Soto-Peguero, 25, was sentenced by U.S. District Court Judge Rya W. Zobel to 22 years in prison and five years of supervised release. In April 2018, Soto-Peguero was convicted by a federal jury of possession with intent to distribute more than one kilogram of heroin, conspiring to distribute more than one kilogram of heroin, and discharging a firearm during and in relation to a drug offense. In early 2015, federal agents conducted a wiretap investigation of Eddyberto Mejia-Ramos, a regional heroin trafficker operating in Taunton. In May and June, agents identified Soto-Peguero as Mejia-Ramos’ primary source of supply. On July 6, 2015, law enforcement intercepted calls in which Mejia-Ramos asked Soto-Peguero to send him something “heavy,” to which Soto-Peguero responded that his girlfriend was on her way. 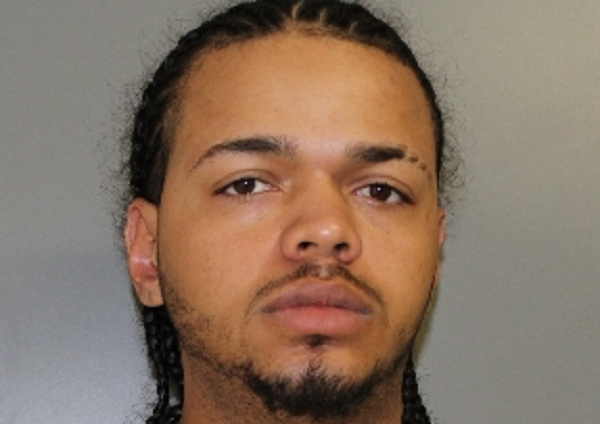 At that time, agents were conducting surveillance outside Soto-Peguero’s Norwood apartment and observed co-conspirator Mercedes Cabral exit the apartment and drive towards Taunton. During a subsequent traffic stop, officers found 10 blocks of heroin (918 grams) protruding from Cabral’s purse. After seizing the heroin, law enforcement officers attempted to secure Soto-Peguero’s apartment in anticipation of obtaining a federal search warrant. They knocked on the door and announced the presence of police, but no one answered. As officers began a forced entry through the front door, someone inside fired a gunshot through the front door. Fortunately, no one was shot. Officers eventually gained entry and arrested two men, identified as Soto-Peguero and Luis Guzman-Ortiz. The next day, officers executed a search warrant at the home and seized two kilograms of heroin, a loaded semiautomatic pistol, two hydraulic drug presses, and other evidence that showed the apartment was being used to prepare and package heroin. Gunshot residue testing and other evidence established that Soto-Peguero fired the shot through the door. In September 2016, Mejia-Ramos was sentenced to 90 months in prison. In May 2017, Cabral was sentenced to time served (22 months) and three years of supervised release. Guzman-Ortiz was convicted by a federal jury in June 2018. He has not yet been sentenced.